Last week as I was returning from dropping Max and Maria off at school, I saw a man eagerly pointing his camera toward the tops of some palms, and other tall hedges and flora. He was conspicuous, urgently snapping with that big camera. And he wore a triumphant expression. Our street is frequented by many walkers, and joggers, stroller pushing fitness moms, dog walkers. It's a quiet, tree-lined street, and we are accustomed to enjoying this steady flow of happy traffic. I knew this pedestrian was exceptional, but wasn't sure why. The next morning, further up our street I noticed four people, spread out, but all facing the same easterly direction, and all with big cameras. Telephoto lenses, binoculars, and eagerly scanning tree tops. A class? I wondered. Two days later I saw another couple, with those same studious postures, and cameras aimed at the tree tops. By now, I am loving the mystery, but frustrated because I'm always on a tight schedule, and it's not convenient to stop and ask, What are you doing?? Then my luck changed. Yesterday, with time on hand, I noticed a guy with a great looking camera, looking east, looking hopeful, looking like someone from out of town. I had to ask. I pulled over, rolled down the window... I've noticed a lot of big cameras and binoculars in the neighborhood... ? He smiled almost bashfully, and confessed, We're birders. 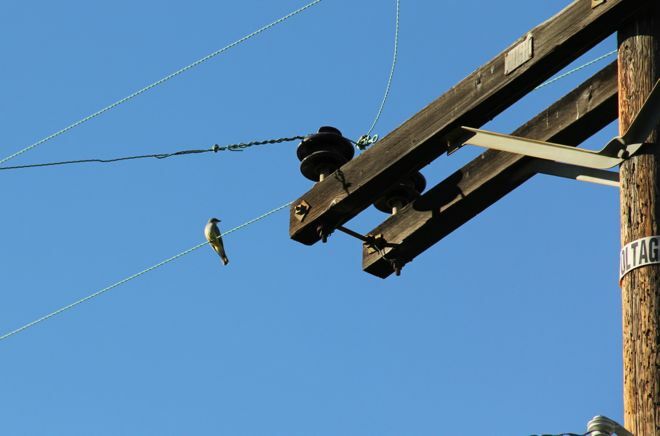 A Scissor-tailed Flycatcher was reported to be seen here, and he opened up an image on his mobile phone so I could see what a Scissor-tailed Flycatcher looks like. He was very excited. Are you doing a Big Year? I had to ask. And he laughed. No, he replied, adding, I've traveled enough for one, but no. 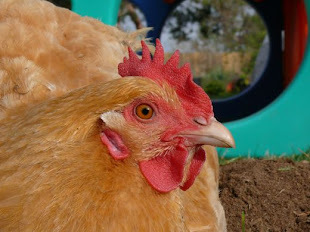 We see a lot of birds here, in case you've wondered why we call this The Bird House... it's not about the chickens! 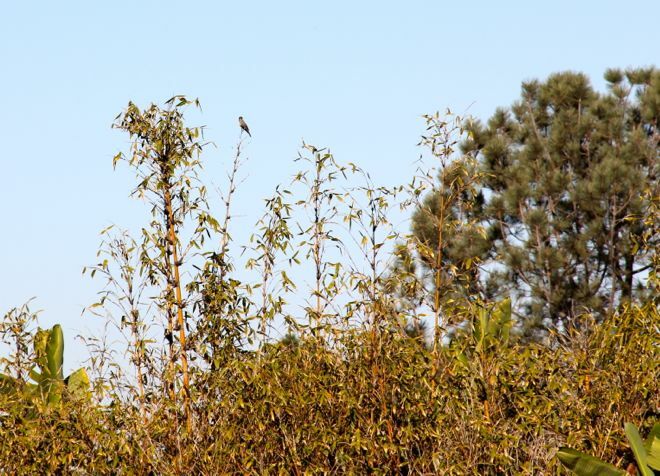 Quail, Western Blue Birds, Phoebe, Barn owls, and Great Horned Owls, Cedar Waxwings, all sorts of hummingbirds, and doves, Mockingbirds, and sparrows are frequent visitors, and residents. I've enjoyed casually observing, and learning their names and habits. And the summer before last Maria and I were inspired to do our own backyard and neighborhood Big Year, so I was really amused to be witnessing a first-hand bird watching flurry of activity, and living in the middle of the excitement. I told Geoff my happy story last night, and we agreed it was pretty neat. The End. Geoff called me two minutes after leaving for work this morning. They're out there! The birders are on the street again. And not a block away, too! It was irresistible. I was going to go Bird-Watcher Watching! I pulled on my boots, dismissed every other urgent task before me, grabbed my camera and headed south in search of Birders! I had one troubling thought as I approached an obvious looking couple standing, well-equipped, beside their car: What in the world am I going to do, or say? Fortunately, I was able to dismiss my rational query. I think I was as eager and curious to see the Birders, as those Birders have been to see the Scissor-tailed Flycatcher. Their interest and enthusiasm inspired me, piqued my curiosity, and by now, I too hoped to see a Scissor-tailed Flycatcher. They turned their attention west, and we saw this bird. Gosh, I hate to get this wrong, but did they say Cassin's Kingbird? I introduced myself to Jeff and Bonnie. They'd been as far east as New Mexico, and they listed for me the rare and special birds they'd seen there, and in Arizona, and at the Salton Sea. I know they looked for a red-beaked, and red footed seagull at the Salton Sea, and saw a Yellow Bellied Sapsucker, somewhere. Even as we spoke, they were spying active and plentiful birds in the Cape honeysuckle and pines. And when they were not certain, they opened a much loved field guide, held together with red duct tape. Vireos. Sparrows. 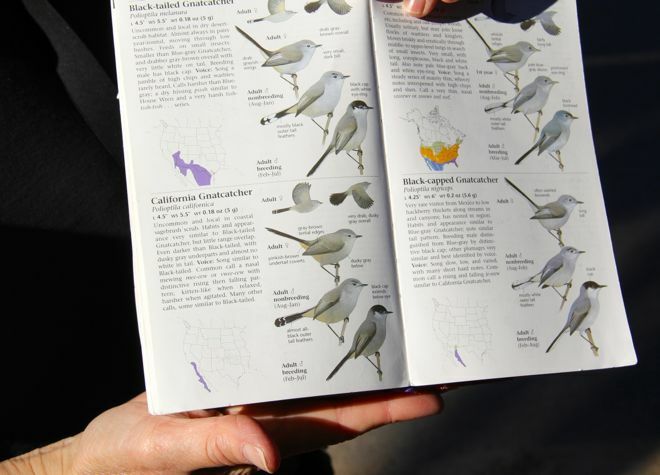 And the one they hoped to spy, the California Gnatcatcher, which strongly resembles the Blue-grey Gnatcatcher, and the Black-capped Gnatcatcher, too, for that matter. I was in complete awe of their prompt identifying of all kinds of tiny birds flitting in and out of the shrubs, alighting in the branches. It's no wonder Maria and I were so challenged to identify our birds, even when using the zoom on the camera, we were not seeing much. Not as much as Bonnie and Jeff can spy with their monocular. Wow! What an amazing tool. 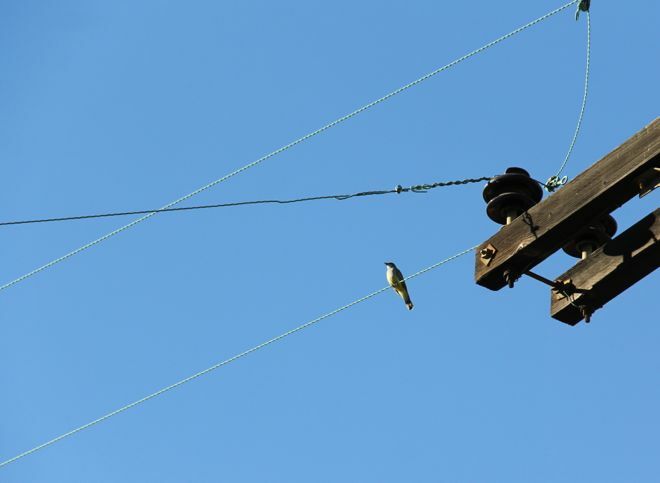 They invited me to see a bird down and across the street, and on a phone line. Through the monocular it was as close as my computer monitor is to me, now. Undisturbed, at ease, the bird sat a good while, and was easy to observe. I could see every detail. What a lovely experience. Oh dear, I may have acquired a taste for telephoto lenses... 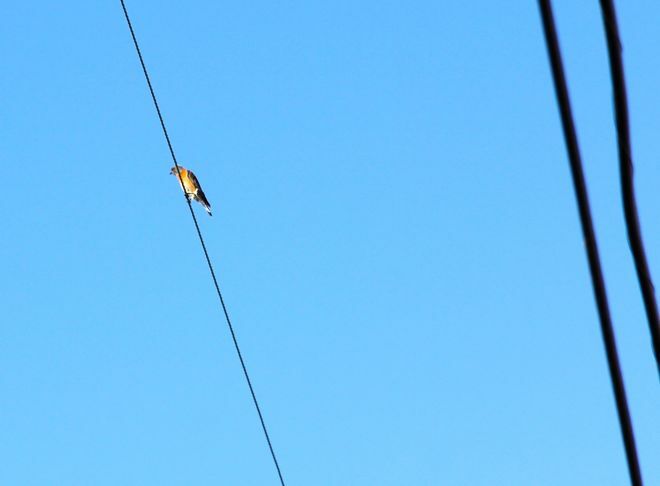 I can barely tell this is a Western Bluebird. Fortunately, they sometimes visit our birdbath, and we get a much better look, then. We walked and shared happy bird sighting stories. I have seen many, from our Bird House, and the year we lived in Minnesota. Bonnie and Jeff were happy to visit some spots I thought might be successful for viewing. And I got to steal a few more peaks through their monocular. I am so eager for them to see their birds. Today they'll be bird watching in Morro Bay, on their way back to San Francisco. I was good and proper and did not drive away with them, but I was tempted! Only a Bird-Watcher Watching Road Trip could top this Big Day. I'm coming over with my binocs. How cool - the bird watching! Fun. Isn't it exciting? Careful, the big-lens bug bite hurts! Hi Natalie. I have no idea if my comments make it through. I love your blog, but hinky on my end. It occured to me to try Chrome to see it. I love this post so JEALOUS. Bird identification is tough, tough, especially with all that backlights. What a great story - it so amused me! 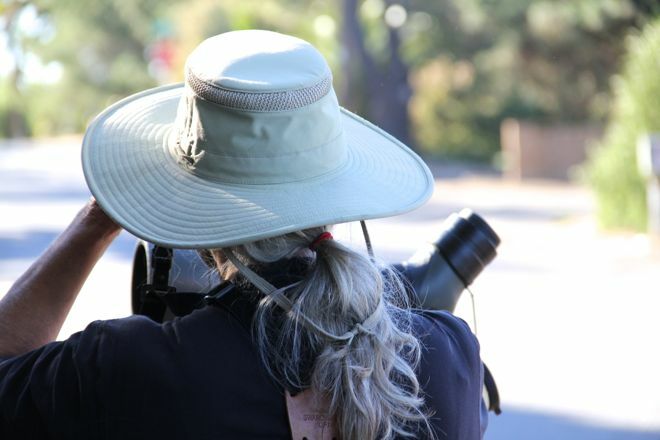 What do you think a bird-watcher watcher is called?